The American Museum and Gardens are dedicated to the exhibition of American culture, history, and art in England. Located just outside the historic city of Bath in the Limpley Stoke Valley, the 18th-century manor house serves as the collection’s home. 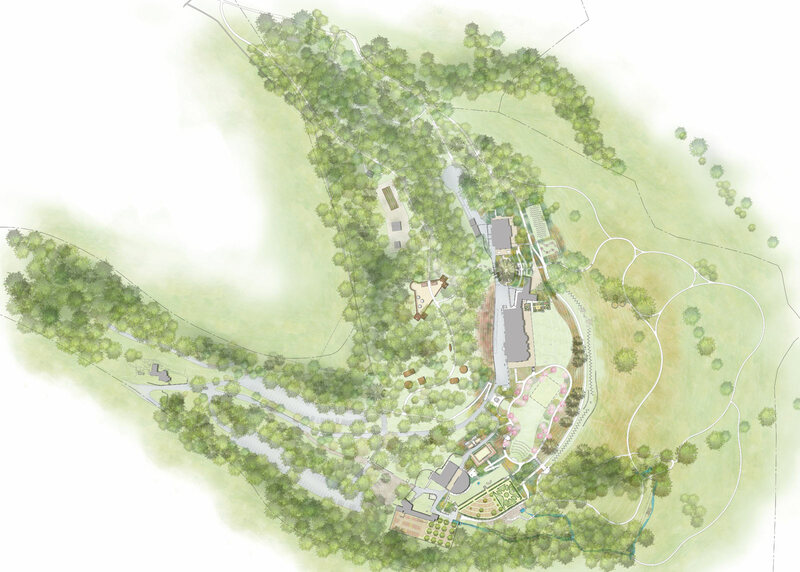 The museum is set on 125 acres of green, rolling topography, 30 of which are open to the public. 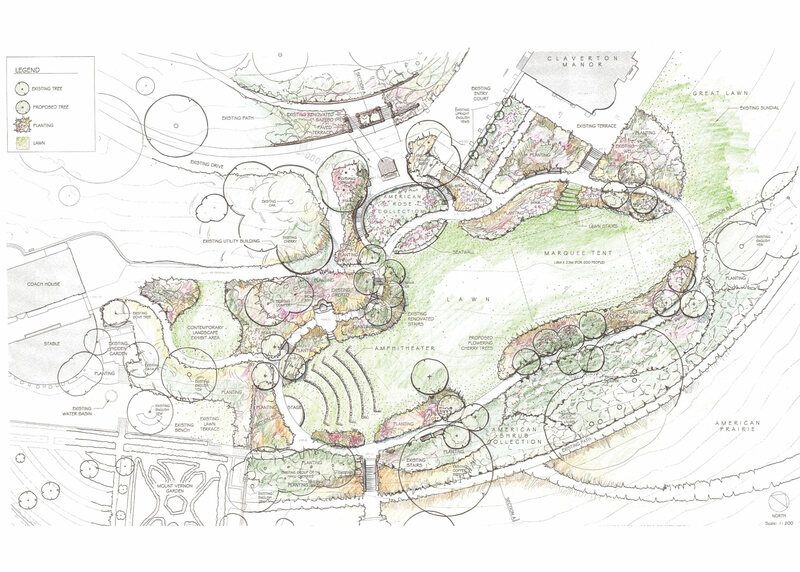 Working with the steep terrain and around historically designated features, OvS created a master plan for the museum that organizes the grounds into a cinematic series of American-themed gardens and landscape exhibits. These gardens represent some of the most iconic movements in American landscape design, such as the gardens at Mount Vernon and Monticello; Frederick Law Olmsted and Jens Jensen-inspired parklands; and landscape installations devoted to contemporary garden design. 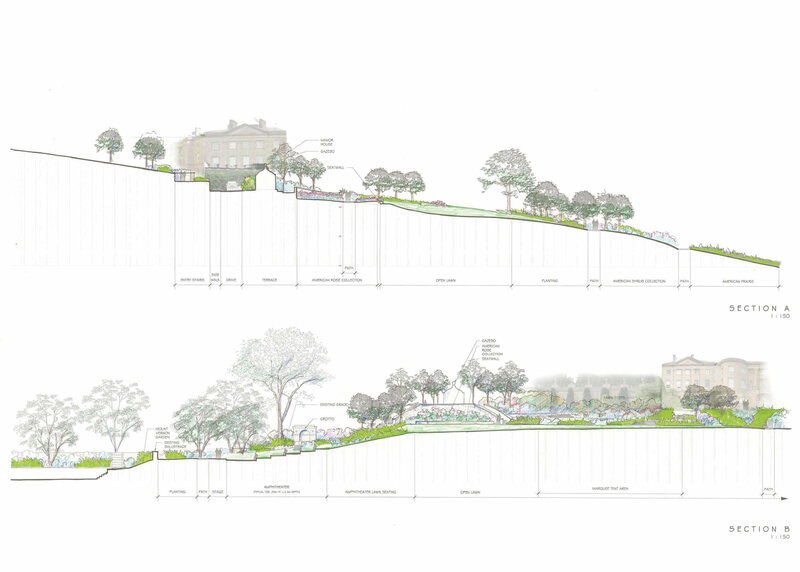 The new master plan extends the experience of American culture and history beyond the doors of the galleries and uses American architectural features and plants to evoke the aesthetic of our nation’s landscape over the centuries.